Point2 Homes gives you far more than a simple list of houses for sale. Get instant access to a lot of relevant information about Salmon Arm, BC real estate, including property descriptions, virtual tours, maps and photos. The search results pages also have a wealth of information on Salmon Arm, BC, if you scroll all the way down. There are houses for sale in Salmon Arm, BC. 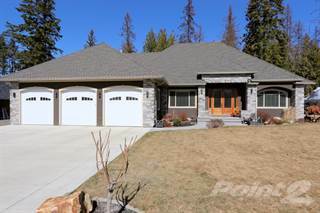 Searching homes for sale in Salmon Arm, BC has never been more convenient. 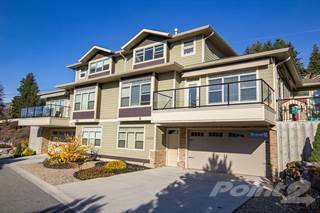 With Point2 Homes, you can easily browse through Salmon Arm, BC single family homes for sale, townhomes, condos and commercial properties, and quickly get a general perspective of the real estate prices. Also, you’ll never miss a bargain if you filter listings based on house price drops in the past six months. Use the map view to find Salmon Arm, BC homes and apartments for sale, based on amenities or city features that you may want close by. You can close in on a specific neighbourhood or area by simply drawing around them with the polygon or radius tools. Stay informed about the latest entries on the real estate market by saving your searches. This way, you get new listings in your inbox, daily or every week, based on your preferences. If you’d like to get in touch with a professional, agents are displayed next to their listings, and they’re easy to contact through the online forms. If you want more options, you can click the Tools tab and Find an Agent, and you’ll get a list of helpful and knowledgeable real estate agents in Salmon Arm, BC. Visit the Point2 Homes blog and you can find up to date expert advice on many markets throughout Canada, regular market reports, neighbourhood scoops in cities throughout the provinces, real estate deals and useful recommendations. Nestled in the southern interior of British Columbia, Salmon Arm is an important city in the Shuswap area. The population is slightly over 18,000 and fluctuates little. Salmon Arm is part of the Columbia-Shuswap Regional District.The first fur traders arrived in the 1700’s. First Nationspeople had occupied the area for several thousand years before that. During the gold rush days in the late 1800’s, prospectors panned for gold in the gravel bottom of the Salmon River. Paddle wheelers taking miners to the north end of Shuswap Lake bypassed Salmon Arm. After the last spike was driven into the transcontinental railway, thirty-three miles to the east, homesteaders started to come to the area. Salmon Arm was incorporated as a city on May 15, 1905. In 2005, a silver coin was minted to honor its centennial. This picturesque city overlooks beautiful Shuswap Lake. The Salmon River empties into the lake here - hence the name. During the summer months, Salmon Arm is a tourist town. Tourism is the main summer industry with visitors coming not onlyfrom Vancouver and Calgary but also Asia. Many come to enjoy the temperate climate, the lovely beaches, camping, hiking, fishing, water skiing, and house boating on the lake- it boasts North America’s longest wooden wharf. Autumn is lovely in Salmon Arm because of the plethora of deciduous trees in the surrounding hills. Tourists come to hike and photograph the scenery. Because of snow and the surrounding hills, Salmon Arm is a great winter sports area for snowmobiling, cross country skiing, ice fishing, and snowboarding. Winter travel in the area can be treacherous because of the mountainous terrain. Snow tires are a necessity. Salmon Arm is a favorite spot for shutter bugs: In spring and fall, the wildflowers and trees in the area are a photographer’s delight. It is part of a vital wetland area in BC’s interior. The area is the nesting/breeding grounds of the province’s largest colony of western grebes, andbird watchers are delighted by sightings of up to five hundred species of migrating birds in the marshland. Because of summer tourism, Salmon Arm has several hotels, inns, bed and breakfast facilities as well as campgrounds. Because of tourist traffic it also has a higher-than-usual percentage of restaurants and cultural attractions. Tourism is often the intention but the climate, attractions and quiet life also convince some visitors to relocate here. 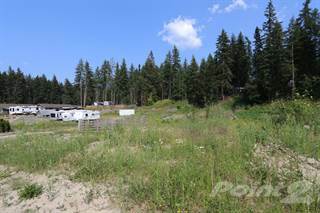 Presently there is a low inventory of properties for sale in Salmon Arm. Buyers come from lower British Columbia,where they are selling homes in Victoria and the surrounding area for top dollar,and from Alberta where the economic downturn has people relocating for employment. These two situations are driving up home prices in the area. Located in a low-lying agricultural setting, Salmon Arm’s land is rolling. The city is surrounded by highlands and mountainous areas. Mount Ida, an extinct volcano, is nearby to the south, Larch Hills can be seen in the east, Fly Hills are to the west, Andin the north, Bastion Mountain is across the bay. Salmon Arm’s climate is moderate but it does have noticeable spring, summer, fall and winter seasons. Summer highs reach the low eighties (27 C) while winter temperatures average highs of just below freezing. It is not unusual to have snow by the end of November in Salmon Arm. Because of the fluctuations in elevation in the area, you might still be snowmobiling in nearby Fly Hills in early spring. Salmon Arm receives an average annual precipitation of just over twenty inches (550 mm.) The largest industries in Salmon Arm are forestry and secondary forestry businesses. Birch, aspen, larch, coniferous trees, and cottonwoods grow in the highlands surrounding Salmon Arm. However, Federated Co-op closed it’s sawmill in 2008, a result of an economic downturn. The Gorman Brothers’ plywood production facility is still running. Canadian Pacific Railway trains pass through Salmon Arm. Highways also bring truck traffic in and out of the city.